Six-time Women’s FA Cup winners Doncaster Rovers Belles are in “detailed discussions” with Club Doncaster over a possible takeover, says chair Faye Lygo. 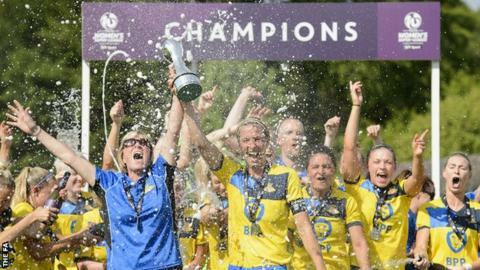 The Belles won the Women’s Championship last season but dropped down a league to “ensure their continued viability”. The Club Doncaster group contains men’s club Doncaster Rovers, the town’s rugby league side and community projects. The Belles – who earlier this year were in talks about integrating into Club Doncaster – are second-bottom of National League North, having lost eight of their nine games this season.